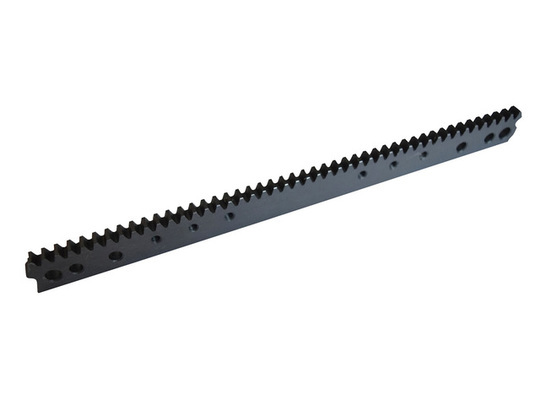 These modular rack gears are the same as those included with the GR-RK1 linear actuator. Two sizes are available, both with a 1.5 Module gear pitch; a smaller 46 tooth option and a larger 72 tooth option. 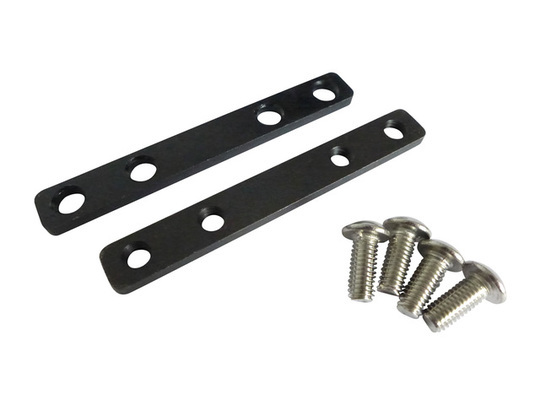 Each is precision EDM-machined from hardened steel and then black-oxide coated. 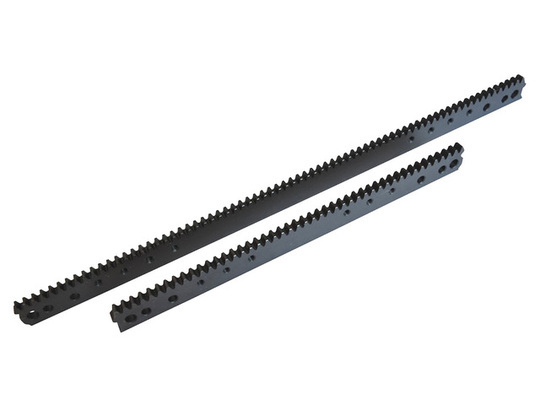 A rack-clamping set is also available (forth picture along) which includes two laser-cut metal plates and four M5 button-head screws, for attaching one rack gear section to another. 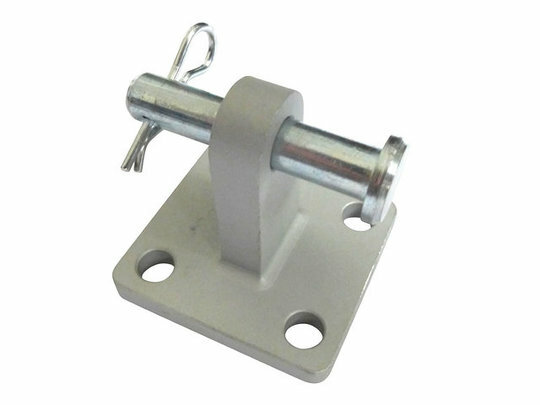 Each rack gear section has four 5mm holes (which are used for connecting one rack to the next), two 6mm holes (which are useful for mounting) and either 6 or 8 M4 tapped holes (which are used for mounting limit switch trigger plates on the GR-RK1 actuator). 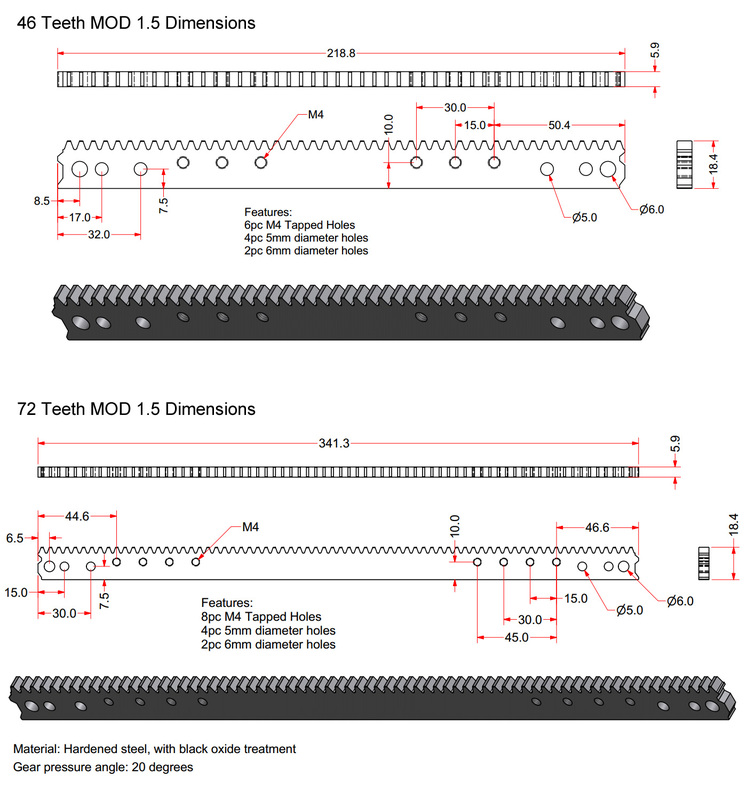 The 46T rack weighs 160g, the 72T rack is 250g and a rack-clamping set weighs 40g. 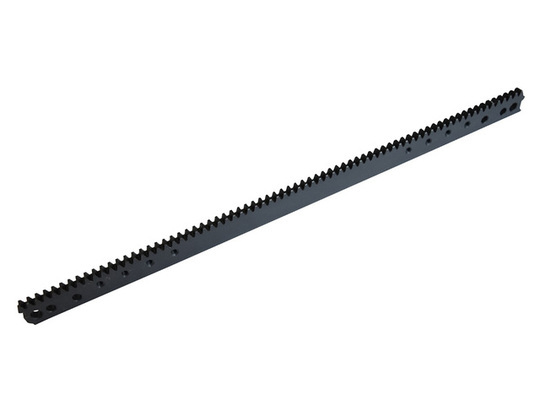 Any standard 20 degree pressure angle 1.5 MOD gear should run along the top of the racks.